Third chief justice of the United States (1745-1807) and delegate to the Constitutional Congress who later submitted the amendments which became the Bill of Rights. Revolutionary War-dated manuscript DS, signed “O. 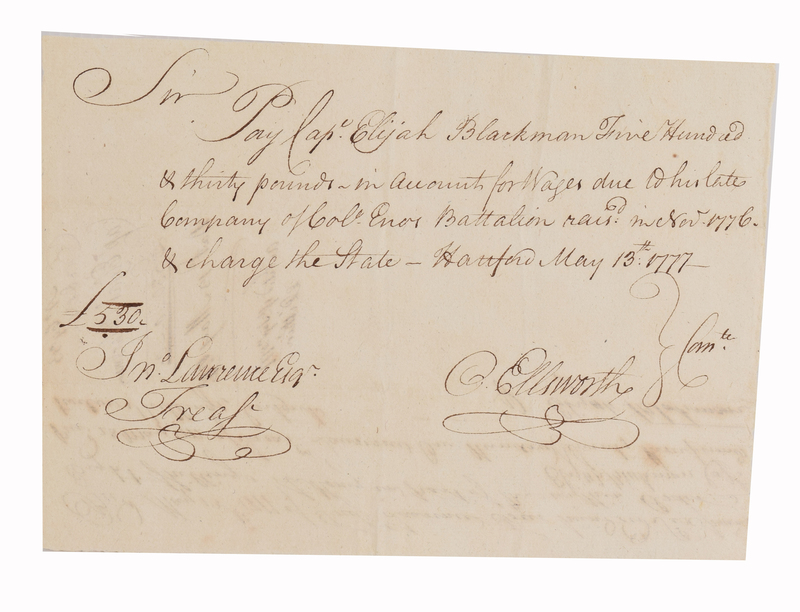 Ellsworth,” one page, 8.25 x 6, May 13, 1777. 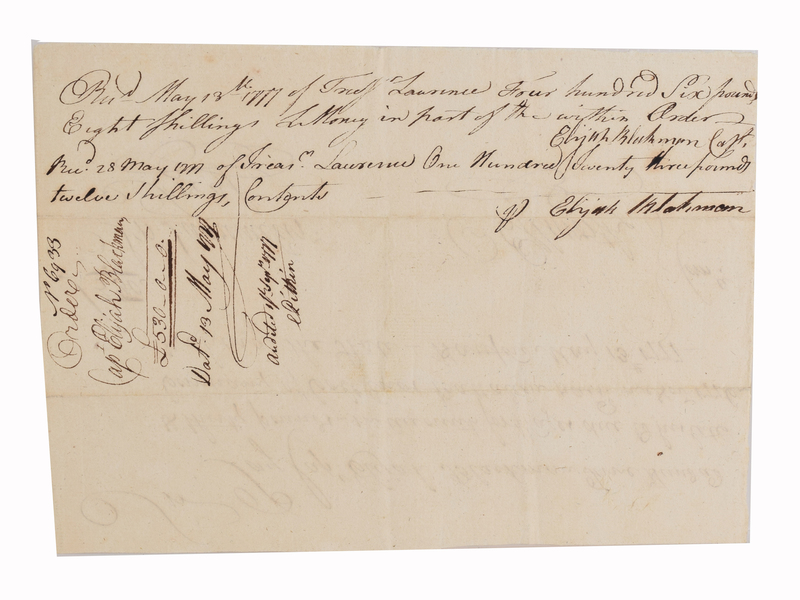 Pay order issued to Treasurer John Lawrence, in part: "Pay to Capt. Elijah Blackman…the sum of five hundred & thirty pounds amount for wages due to his late company of col. Enos Battalion rais in Nov. 1776 & charge the state-Hartford May 13,th, 1777. Crisply signed at the conclusion by Oliver Ellsworth . In fine condition.